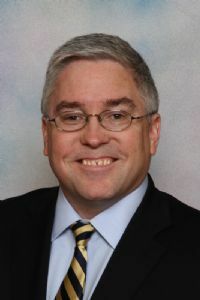 CHARLESTON, W.Va. (Legal Newsline) - West Virginia Attorney General Patrick Morrisey on Tuesday said his office has filed a lawsuit challenging President Barack Obama's practice of "cherry-picking which laws his administration will enforce." The lawsuit, filed Tuesday in the U.S. District Court for the District of Columbia, alleges the Obama administration repeatedly has demonstrated it will change or ignore certain laws or statutes to promote or protect its political agenda. The lawsuit cites several instances where the administration has ignored the law on immigration matters, environmental and mining regulations and the implementation of the Affordable Care Act. "The President cannot pick and choose which laws to follow and which to ignore on the basis of political convenience," Morrisey said in a press release. "West Virginia knows first-hand the consequences that the administration's illegal and flawed interpretation of the law can have on our coal mining jobs. "This lawsuit simply asks the Court to require the Obama administration to follow the laws and restore the constitutional boundaries on presidential authority. Unfortunately, the President has shown time and again that he is willing to ignore or go around Congress to promote his agenda, and that can't continue. "Prevailing in this lawsuit will help our state's efforts to limit the President's activities in important areas that have painful implications on coal miners and West Virginia's economy." The lawsuit specifically challenges Obama's decision last fall to suspend the enforcement of ACA requirements for existing health care policies and place that burden on the states. At the time, the President said he wanted to be able to say that "the Affordable Care Act is not going to be the reason why insurers have to cancel your plan." "We believe the President's actions here have uniquely harmed states. The Administrative Fix's purpose was to shift the political accountability and discretion over enforcement of certain federal laws from the federal government to the States," Morrisey said in the release. "This burden on the States gives us standing to sue to vindicate the rule of law in this case. "Congress controls the pen for writing, editing or striking laws, not the President. Yet we see this President regularly making up his own rules for government, be it by ignoring immigration laws or imposing new regulations that could cripple the coal and natural gas industries." Morrisey said the complaint does not ask for health care plans to be terminated. Rather it asks the court to force the Obama Administration to follow and respect plainly written laws and the Constitution. "The President has brazenly declared that he will continue to ignore the law when it comes to regulating the use of coal, the ACA, immigration or any other issue he deems inconvenient, and he has dared those who disagree to 'sue me,'" Morrisey said. "We have accepted the President's invitation." The lawsuit is styled State of West Virginia ex rel. Patrick Morrisey v. U.S. Department of Health and Human Resources. Want to get notified whenever we write about State of West Virginia ? Sign-up Next time we write about State of West Virginia, we'll email you a link to the story. You may edit your settings or unsubscribe at any time.